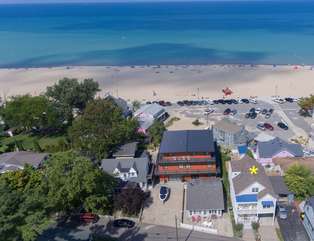 Yellow asterisk marks the spot! 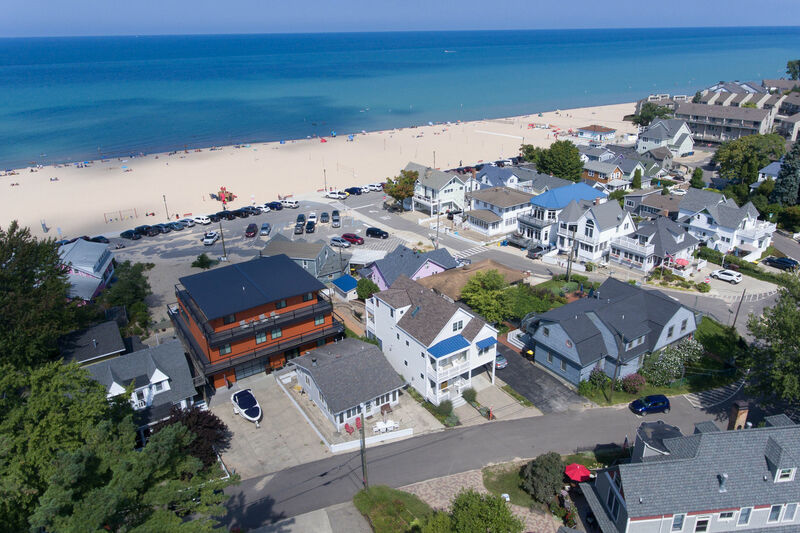 Generations of families return to South Haven every year to enjoy Lake Michigan, our beautiful beaches, and soak in our amazing sunsets. 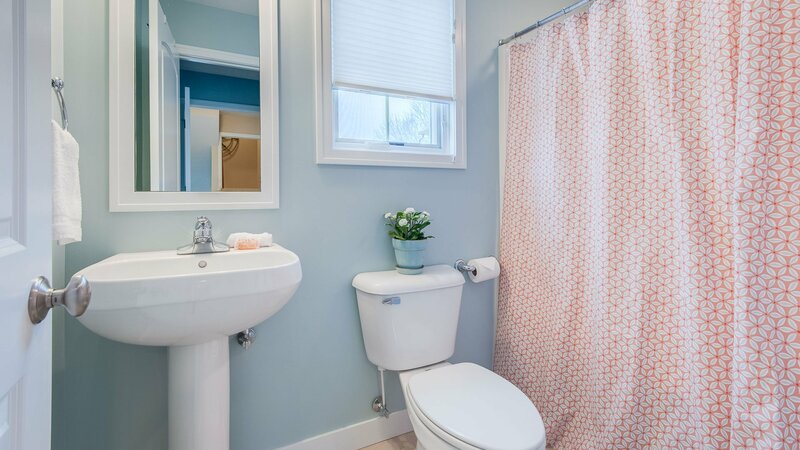 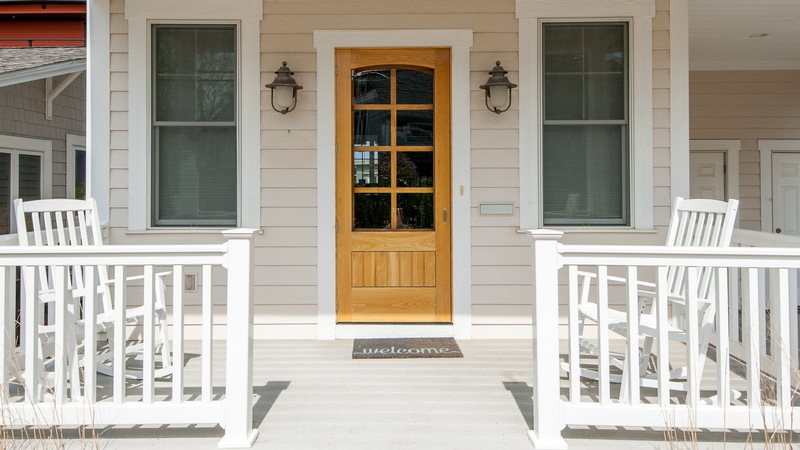 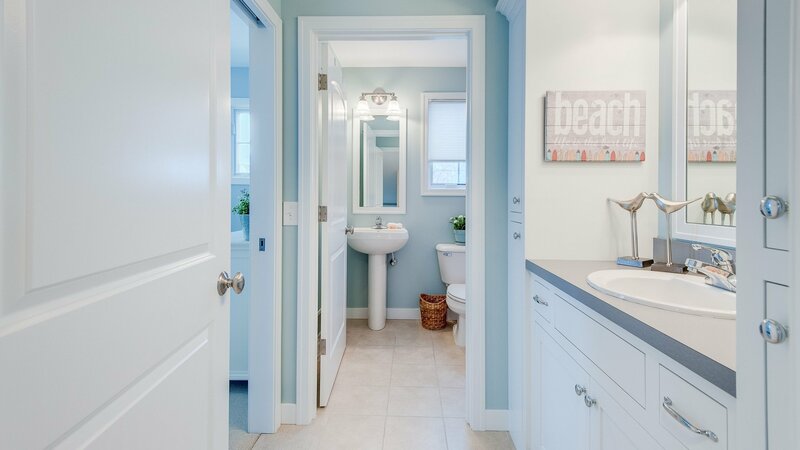 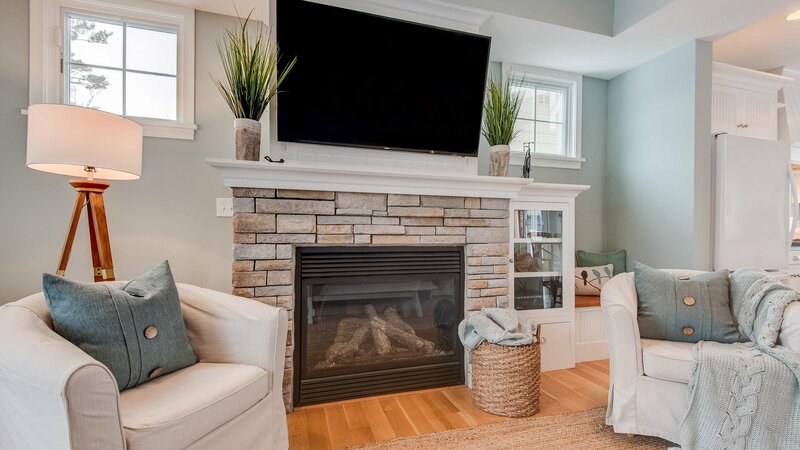 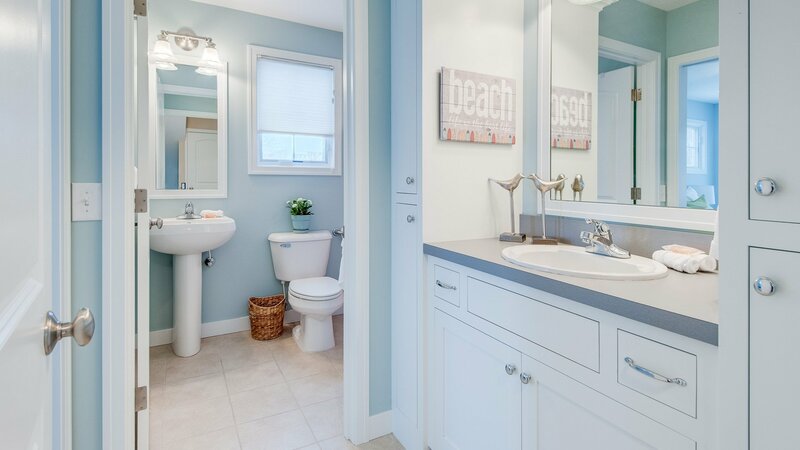 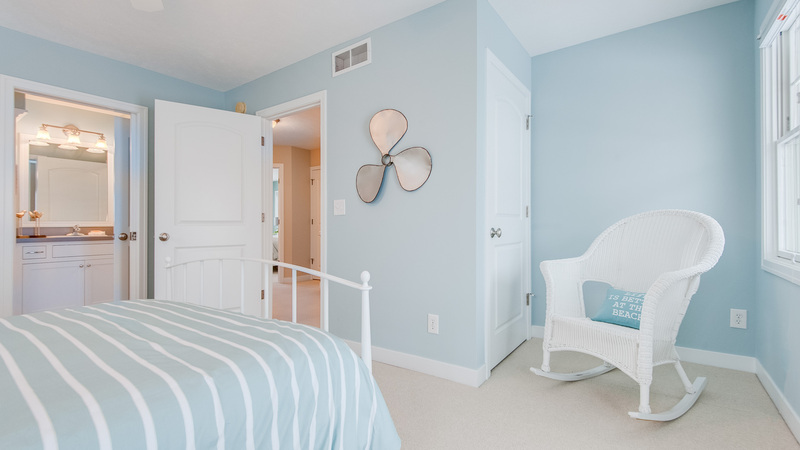 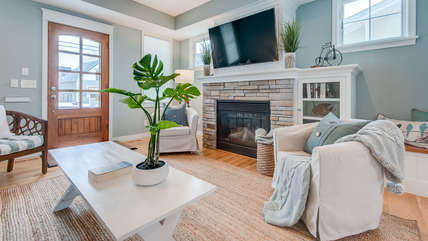 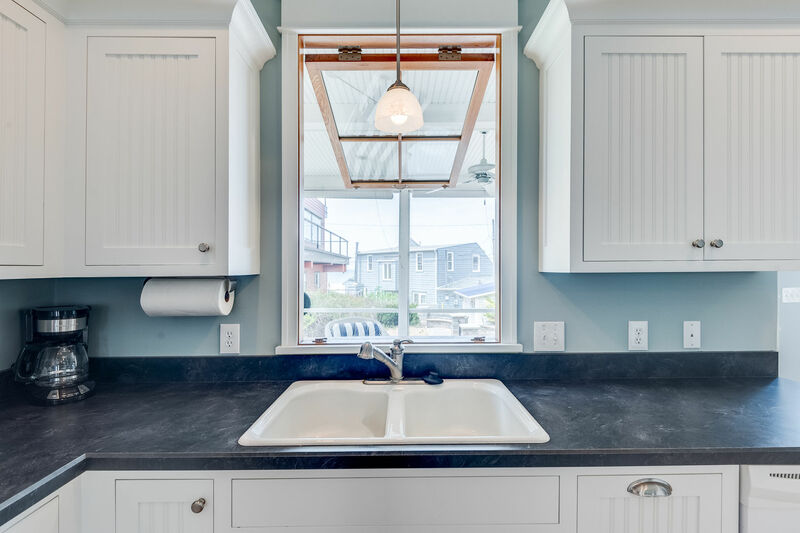 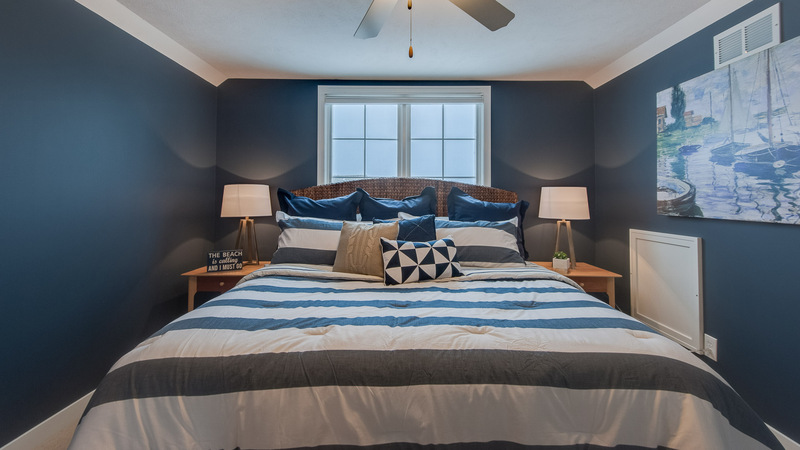 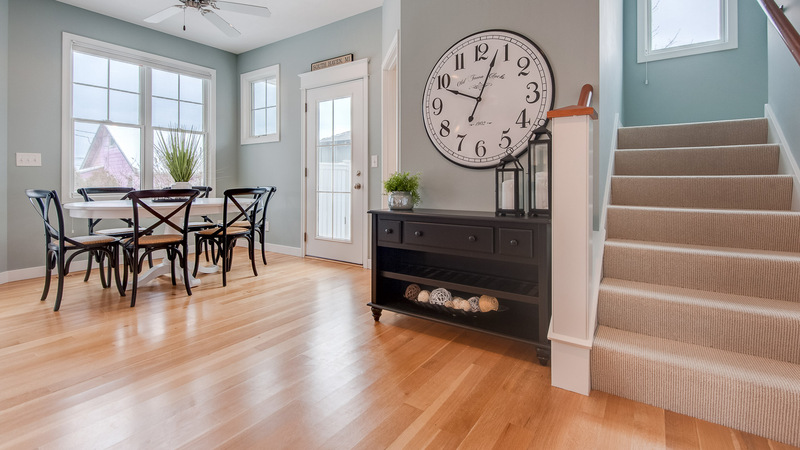 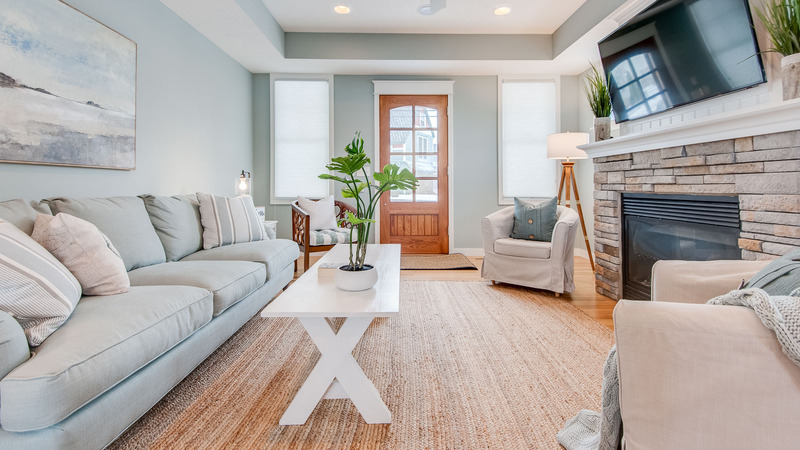 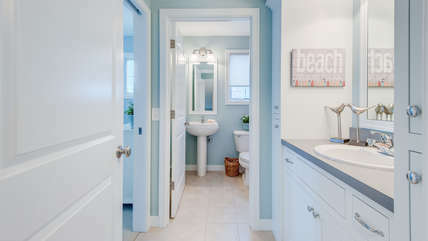 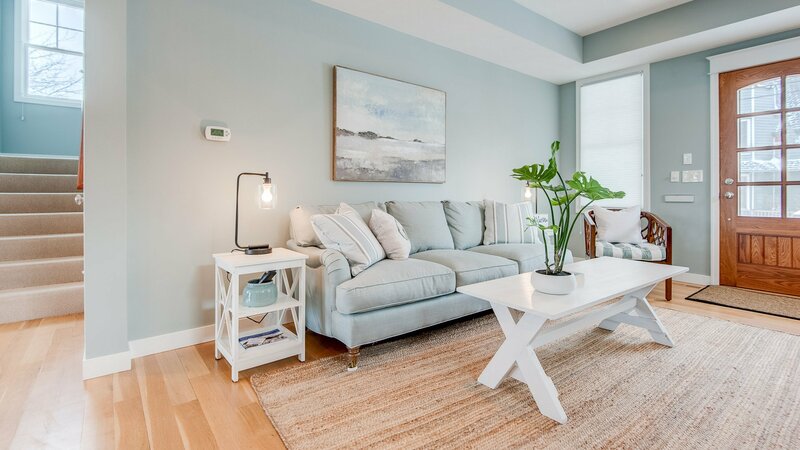 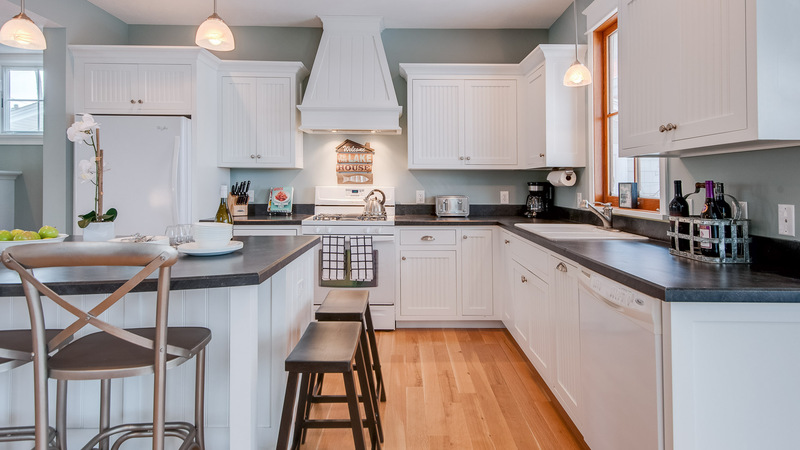 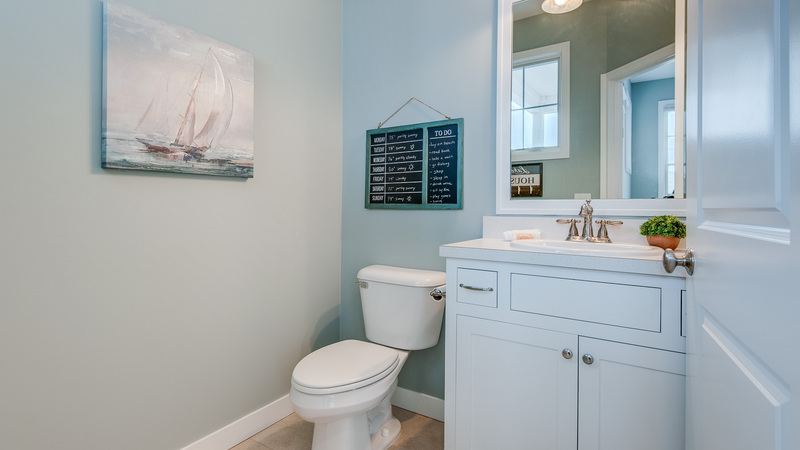 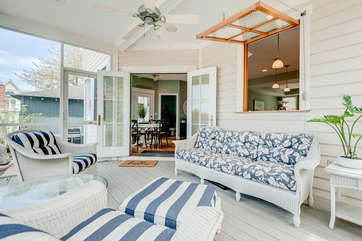 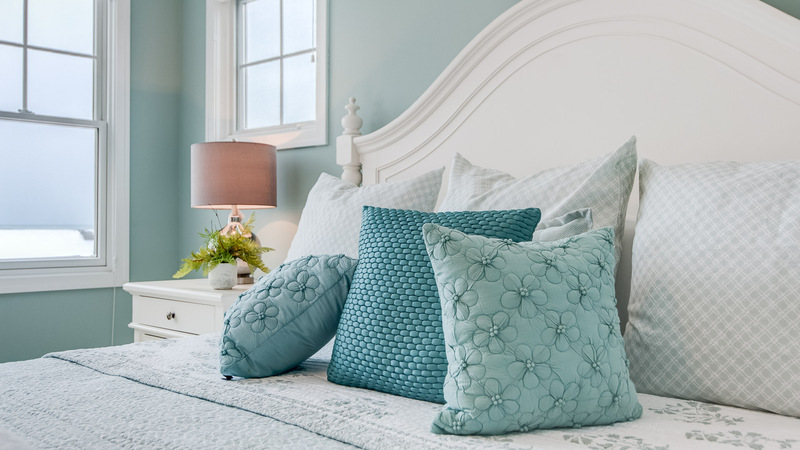 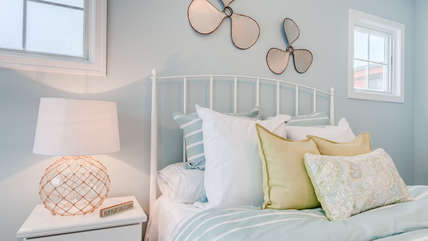 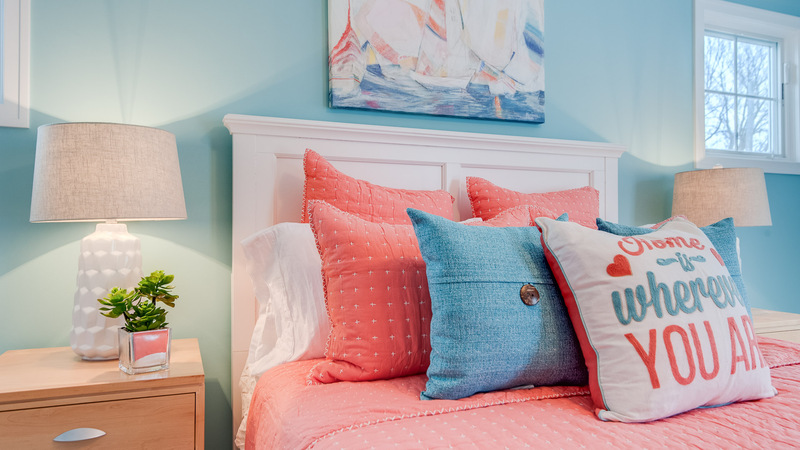 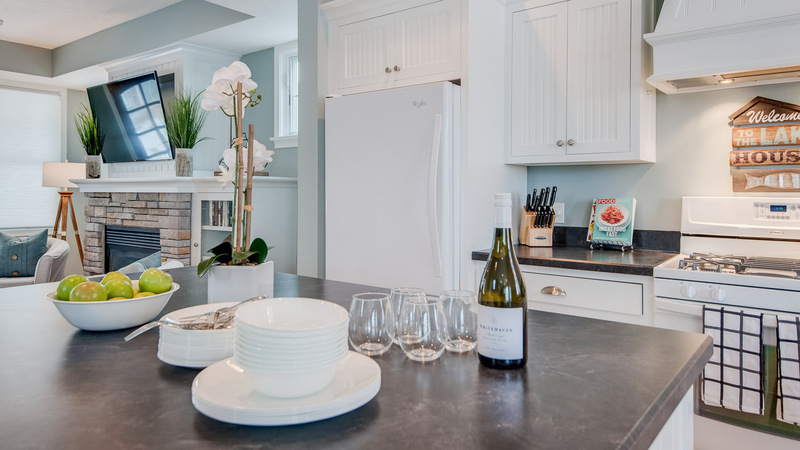 You will feel relaxed the minute you walk through the door of this coastal inspired cottage located steps away from recently renovated North Beach. The Hideout is the perfect balance of spacious gathering areas and cozy little nooks to steal a little me time. 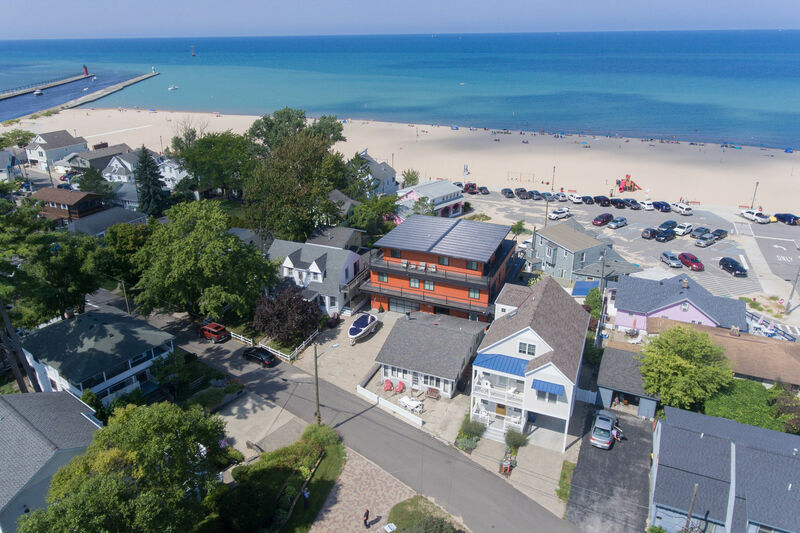 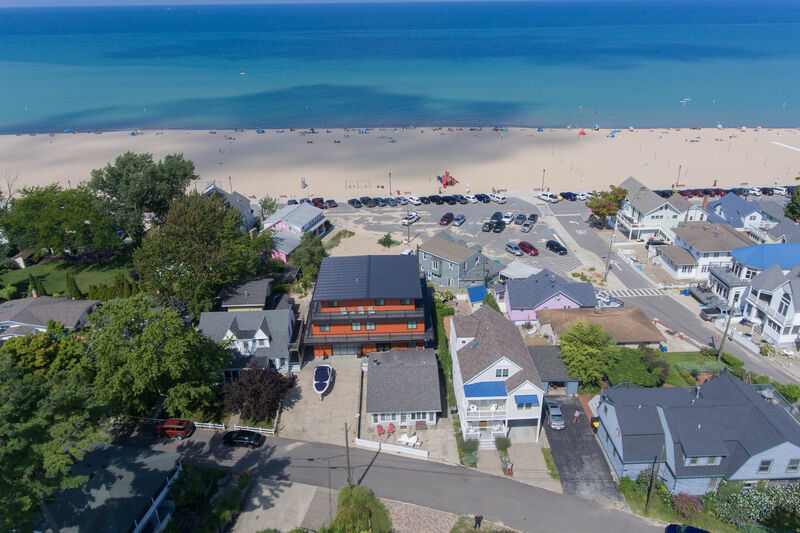 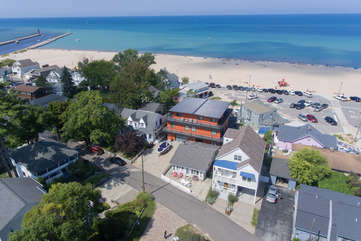 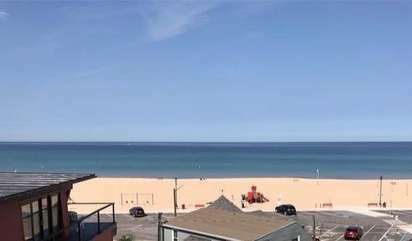 Be sure to check out our North Beach Aerial Photos to see just how close you are to the beach & Lake Michigan. 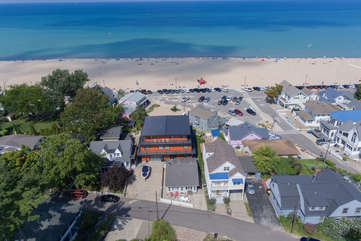 The main floor is an open floor plan with living room, kitchen, and dining room which leads to an outdoor space unlike any other on North Beach. A breezy screened porch overlooks a multi-level patio with fire pit, dining, hot tub, and grilling areas. 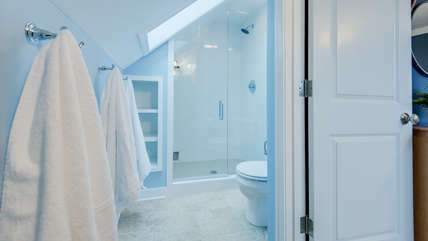 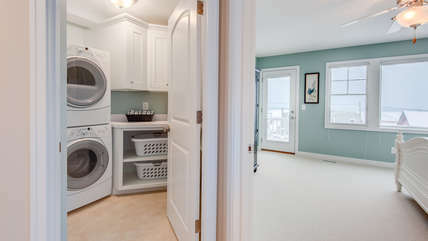 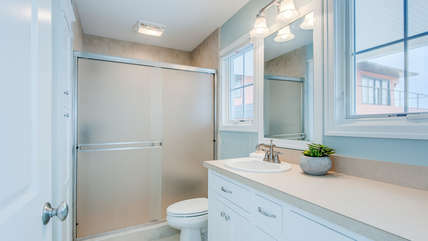 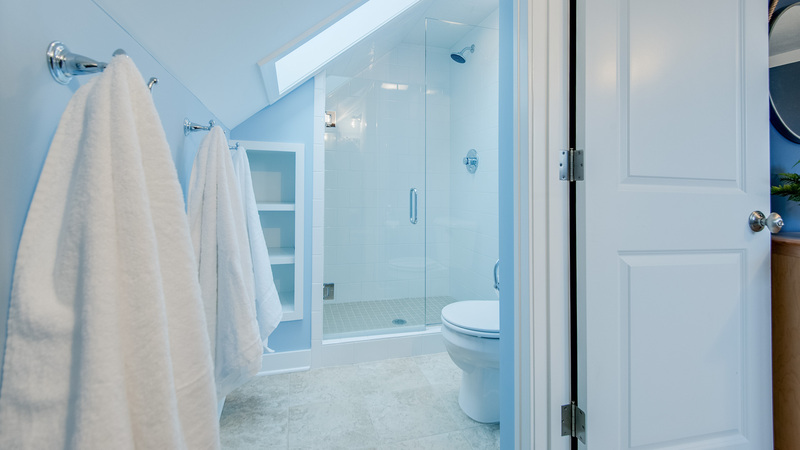 A back gate offers easy access to North Beach and moms will appreciate the outdoor shower for rinsing sandy feet. 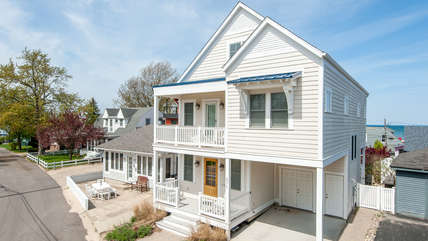 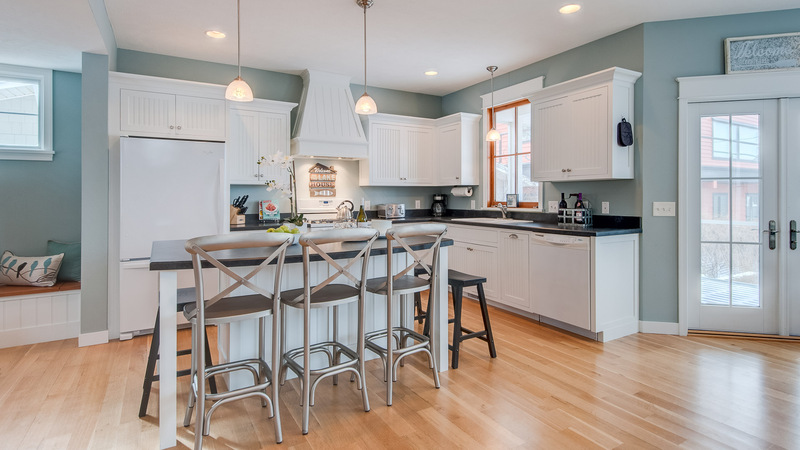 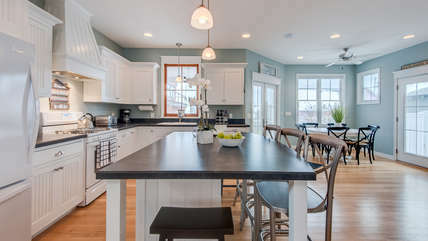 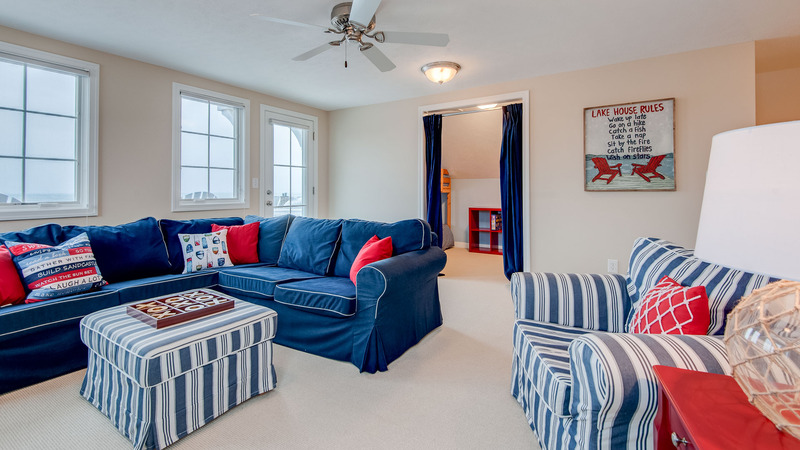 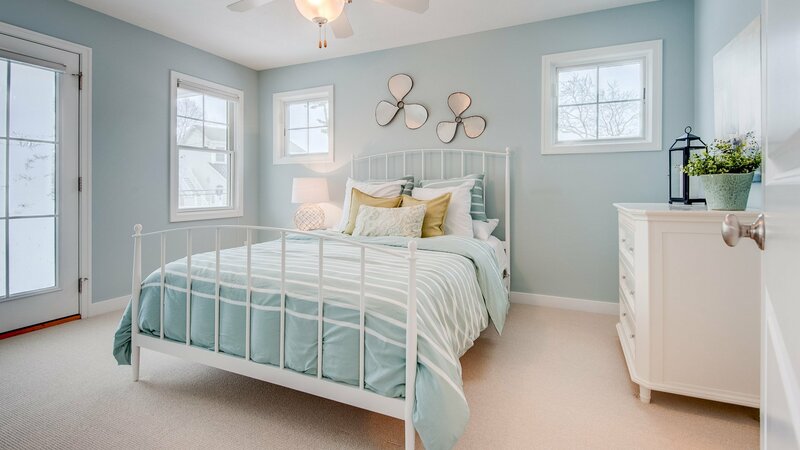 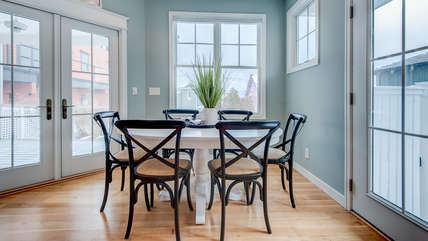 This spacious 5 bedroom, 3.5 bath home sleeps 12 and is perfect for groups traveling together. 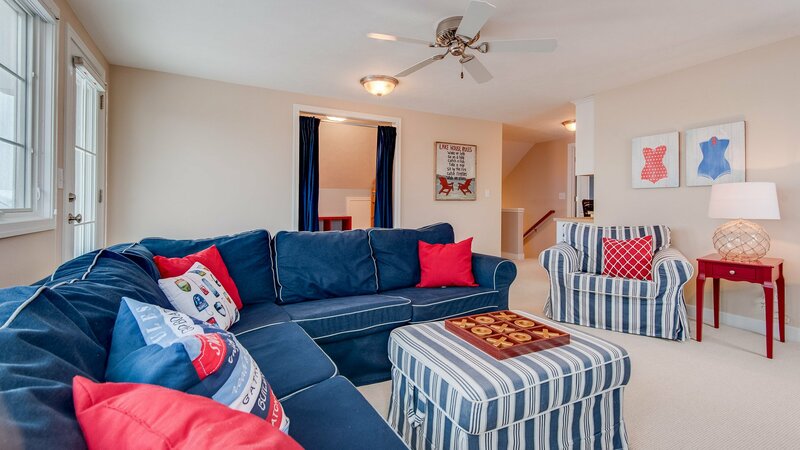 The second level of this home has a lakefront master suite with private balcony, 2 bedrooms with a shared balcony, a full bathroom with additional vanity, and central laundry room. The 3rd level of this home features an additional living room with full views of Lake Michigan. 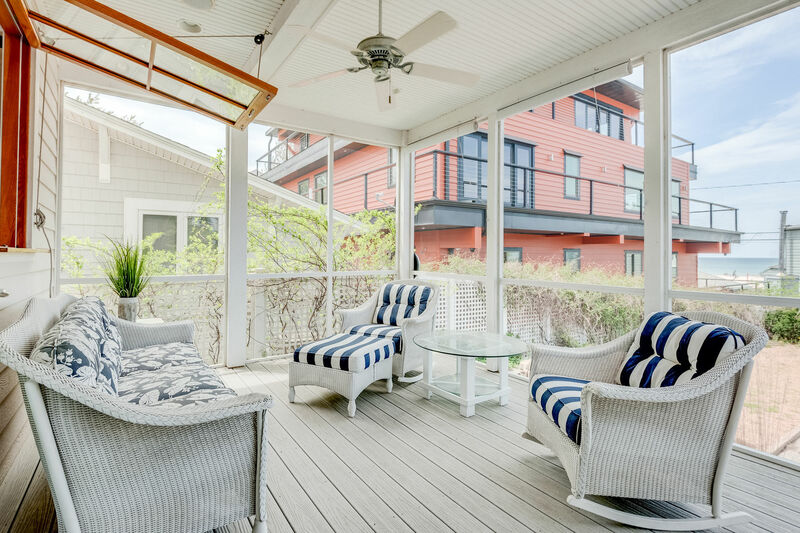 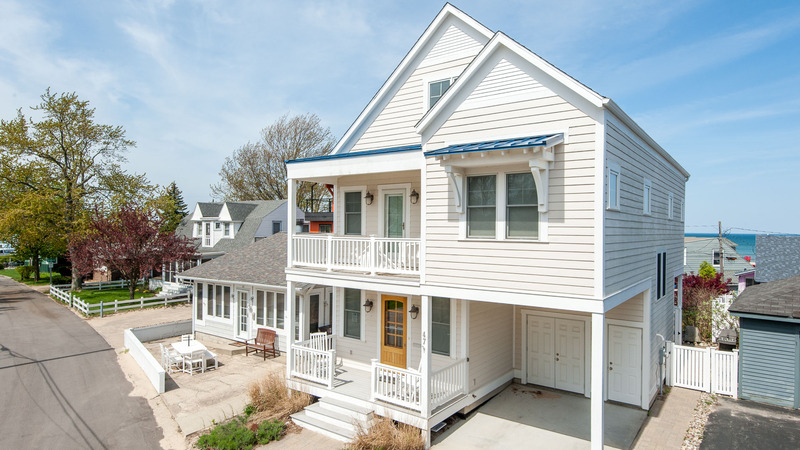 The lakefront balcony is sure to be a favorite spot to soak in all those amazing South Haven sunsets. 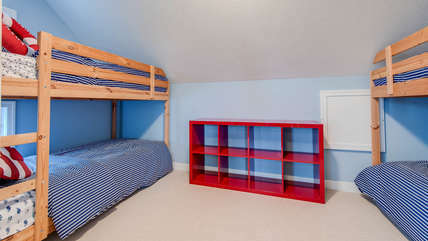 A king suite, a cozy bunk room, and a built-in workspace completes this level.